About a month ago, my friend and I put together a bridal shower for one of our best friends who is getting married. Having a lot of family friends that are older than me, I have been to quite a few bridal showers, but never really put one on. So my friend and I got together one afternoon to plan the location, the food, and the games. The location: my house, the food: Mexican, and the games: toilet paper bride, the paper clip game (where you can’t say certain wedding-related words), and how well the bride and groom know each other. Then, we took the bride-to-be shopping for her dress, so we can decide on a color scheme. She ended up finding a cute black dress, so we settled on black, blue (with the rest of the guests wearing blue), and silver. Next up came numerous trips to Party City for decorations..lucky for us we found the perfect paper products to complement our theme! 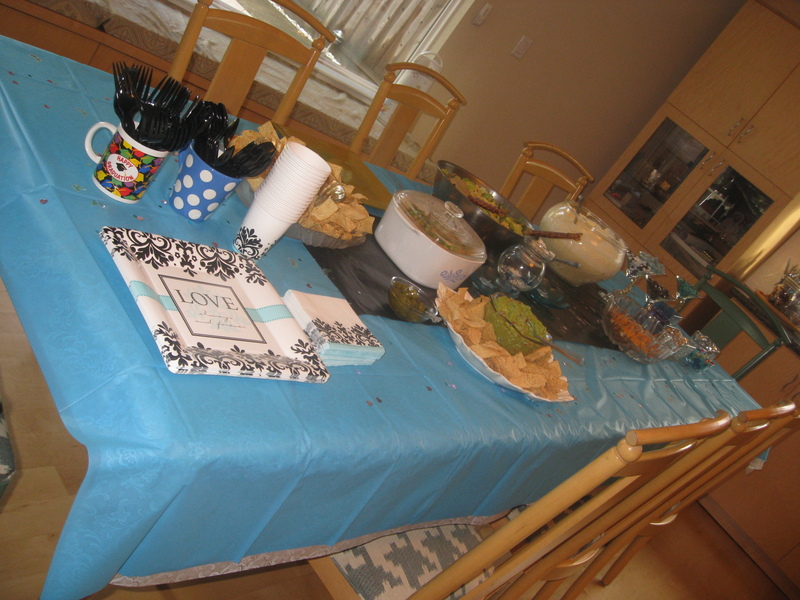 Here are some pictures of the day itself: The spread entailed: seven layer dip, Mexican rice, guacamole, salsa, chips, Mexican salad, and burrito rolls. Delicious and all homemade! The paper products are in the left corner..aren’t they cute?! 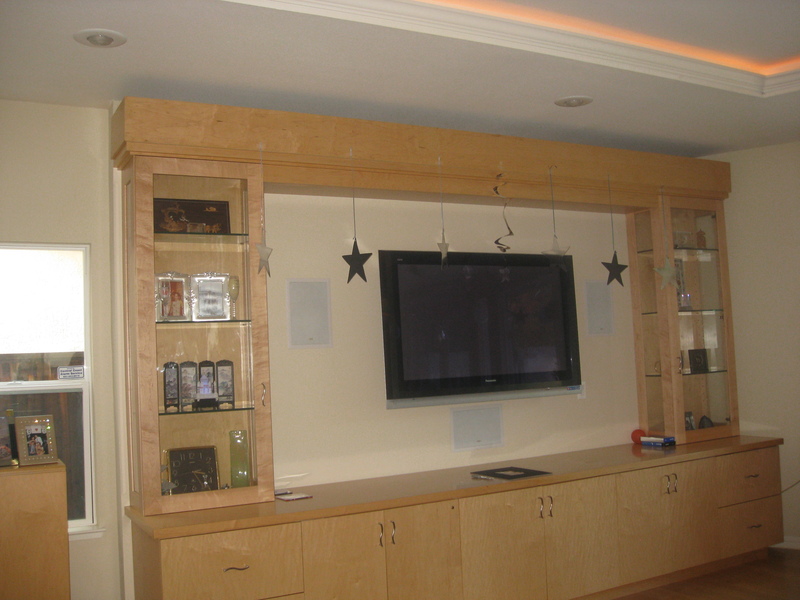 Here is a closer look. This was probably my favorite part: the candy bar. 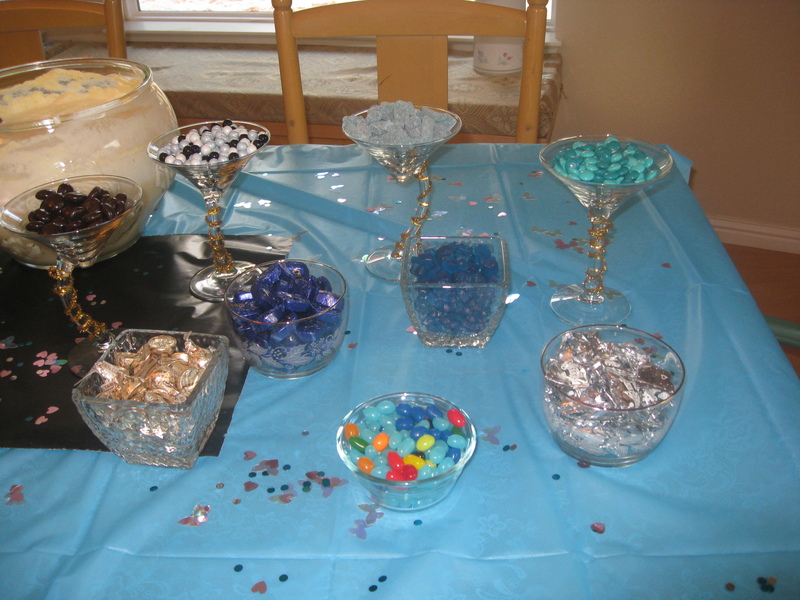 We found as many blue/black/silver candies as we could and placed them into martini glasses/glass bowls. 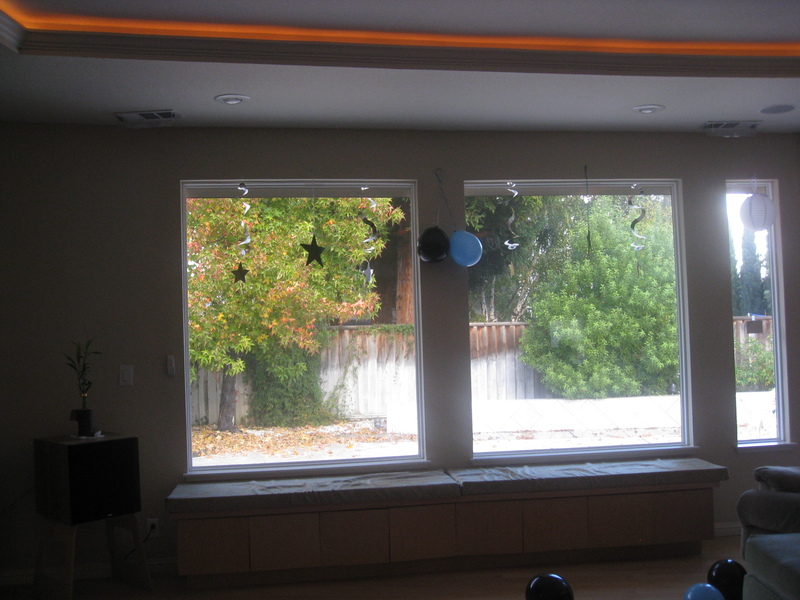 It was a creative and easy way to add to the decor of the party. 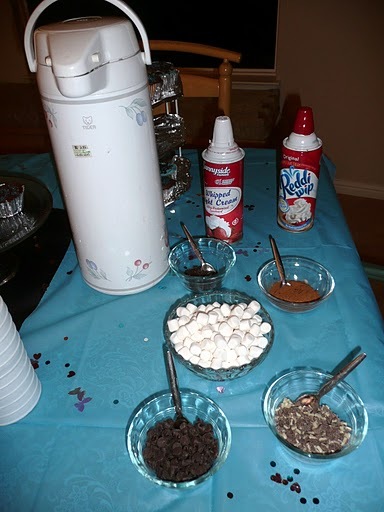 For dessert we had a hot chocolate bar..the toppings included cinnamon, sprinkles, whipped cream, chocolate chips, and pieces of Andes mints. It ended up being perfect because the weather that day was very rainy and cold. 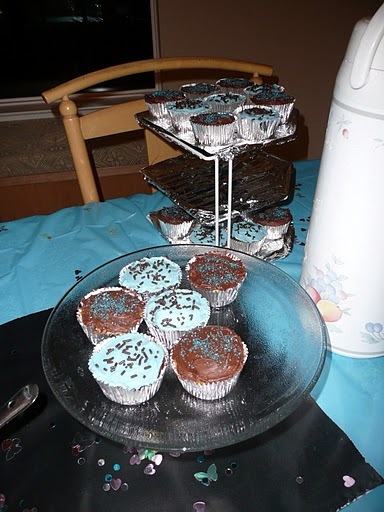 And of course we had cupcakes (along with cheesecake – which is not pictured). Yum yum.